After connecting to the mobile network or WiFi network, iPhone becomes an indispensable productivity enhancing tool. People nowadays prefer Wifi networks more, due to speed and security. Different from mobile network, to connect to the WiFi network you require a password. Here comes the main issue on which our article is totally based. As we all know, iPhones are secured to avoid virus and privacy leak. In this case, viewing and sharing the password of your WiFi network may become a tedious job for you. 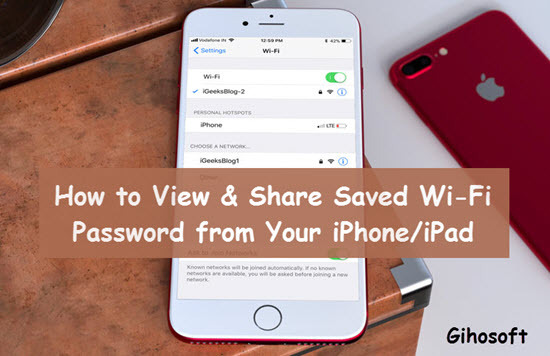 So in this article, let’s dive into the ways on how to view and share saved WiFi password on iPhone. It is the most basic solution that you can try. This hack is a useful one for most people. The basic idea is that, you need to locate your IP address and then login into the router settings to view the password. Go to Home, open Settings and then select WiFi. Now, on the WiFi network that you’re connected to, tap the “i” icon. Scroll down to the router section, then jot the IP address of it. Open a new tab in Safari browser, type in the IP address and hit the Enter button. Automatically, you will be led to the router’s login page. After opening the page, things become much more critical. Note that the default username and passwords of most routers are both “admin”. If you find an exception to this, try searching for “default password for XXXXXX router model” (replacing XXXXXX with your actual router model). Then you will get an actual login credential that can be used for the router. Now, proceed to either “wireless setup” or “wireless settings”accordingly on the router type to locate the WiFi password. Viewing WiFi passwords using iCloud Keychain Sync seems to be a better option if you can’t get done with the router setting. This feature basically synchronizes all your Wifi data from all the Apple devices that are linked to the same account. On your iPhone’s home screen, head over to Settings, and then onto iCloud and select Keychain. Toggle the iCloud Keychain option on. Return to the Settings menu and then toggle your Personal Hotspot on. Now, power up your Mac. Connect to your Mac via the WiFi feature on your iPhone’s Personal Hotspot. Quickly search for “Keychain Access” on your Mac by using (Cmd + Space) to initiate the Spotlight Search option. Now, identify and open your preferred WiFi network. Tap on the “Show Password” option and view the WiFi password. 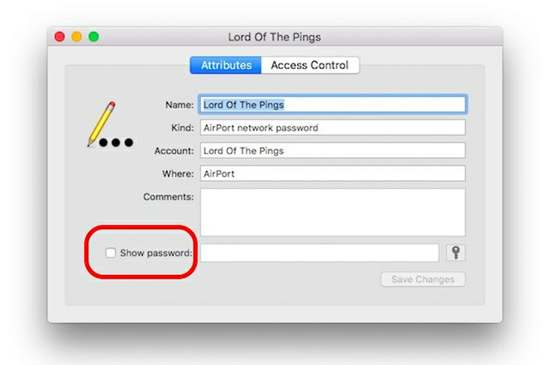 Note: If there is a password restriction on your Mac account, you would be asked to input the password before you can view the WiFi password. In iOS 11, Apple introduced a new and useful feature for iOS users to share saved Wifi passwords between each other without finding the password fruitlessly. Though it only works on iOS device, it’s a pretty good feature if you want to share the connected Wifi network with other iOS devices, especially when you get a new iPad but you’ve forgotten the saved Wifi password on your iPhone. Make certain that your iPhone is connected to a Wifi network, then place it next to the iPhone/iPad you want to share Wifi with. Seconds later, “Share Your Wi-Fi” will pop up, and you just need to click on “Send Password”. Done. Now your friends’ or your another iOS device will enjoy the pleasure of surfing Internet. Tips: If you lost data after updating to the latest iOS version, or lost any precious message or contact accidentally, you can always use Gihosoft iPhone Data Recovery to get them back from iPhone/iPad. Moreover, there are Cydia tweaks that can help you find out the saved Wifi password on your iPhone/iPad, only if you’ve jailbroken your iOS device. And here lists some of them for your convenience. First of all, proceed to Cydia and search for “WIFI Passwords”. The Wifi Passwords app is completely free to install and is a master in finding wifi passwords on iPhone/iPad. Before installing the app you will need to add some sources to Cydia. So start Cydia > Manage > Sources > Edit menu and add (http://iwazowski.com/repo/) as the source. Firstly, proceed to install the WiFi Passwords app by tapping on the install tab at the top right-hand corner. After the installation finished, click on the “Return to Cydia” option. Then again return to the home screen. Now, start the WiFi Passwords app to gain access to all the available WiFi and also their passwords. Easily connect to the WiFi network you want to get connected to. This app can also be installed from Cydia using the steps mentioned above. The unique feature of the app is that it allows you to hack networks that are far away from reach. The app is very convenient to use and can make viewing wifi passwords very easy on iPhone or iPad. Like the name implied, this app hacks, passwords for DLink Routers and can search for passwords via tracking the Network Mac Address you provide. The app is priced at 5.50 euros but is free on Cydia and can be installed in the same way as mentioned above on iOS devices. The app is a master at finding Wifi password for Dlink routers. The app is easy to use and the passwords given by the app are accurate. From all the hacks to the apps mentioned above you can easily view your Wifi password on the iPhone/iPad or any iOS device. The steps given are pretty simple, you don’t need too much effort to execute them one by one. The hacks are really very easy to implement. 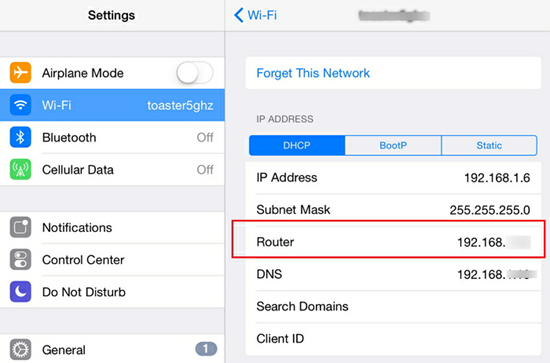 The iOS apps mentioned above will give you a complete solution to view or share the Wifi password of your router from iPhone with other people. If you have any question or useful tip, welcome to share with us by commenting down.